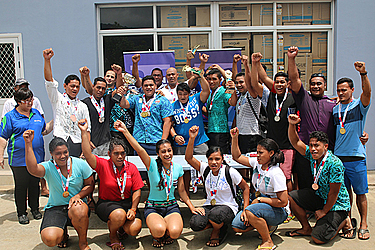 The Samoa Weightlifting Federation are already planning ahead for some of the major tournaments in the years to come with the Youth Olympic Games in 2018 and the Olympic Games in 2020. President and Head Coach of the S.W.S. Tuaopepe Asiata Wallwork said that he has already sat down with his team and talked about their goals. “We will be attending our first tournament for the year in March and it will be held in Melbourne, Australia,” he said. “It’s the Australian Open International Commonwealth Games Qualification Event and this is a tournament we have to participate in. “The reason being, it’s a s tournament for the Commonwealth Games and we cannot go to the Commonwealth Games if don’t go to this tournament. “This is new criteria made by the Weightlifting that we have to participate in this tournament in order for us to go to the Commonwealth Games. The team is already in camp to prepare, Tuaopepe said. “We are looking at a team of around 10 to 11 athletes - all our top lifters for this event and out of that ten, all of them are ranked 3rd place or better within the Commonwealth. “That is our aim not only to get qualified but to take them because they are all highly ranked. “Our training camp has been underway since last week and it will go right through till the first week of March and then we will select our team. “We have a competition that will be held in another two weeks at the Gym and we are using it as pre-selection trials for our team and also as a beginning of the year competition. He alsosaid that there is also the I.W.F. 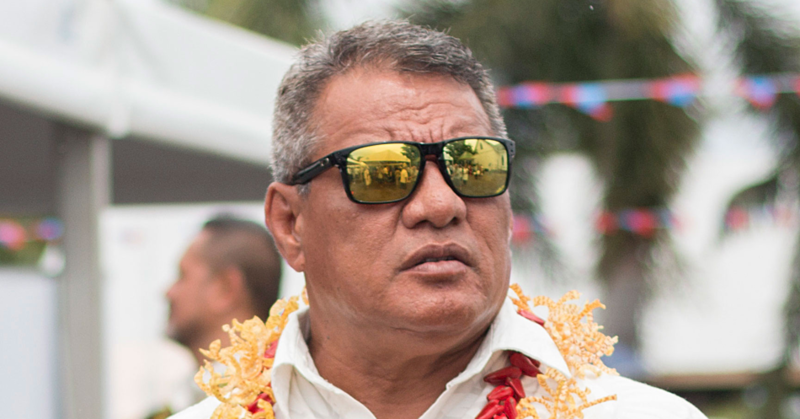 World Junior Championships where he is hoping to take Feagaiga Stowers and Don Opeloge. “They are both highly ranked in the world in the junior division,” he said. 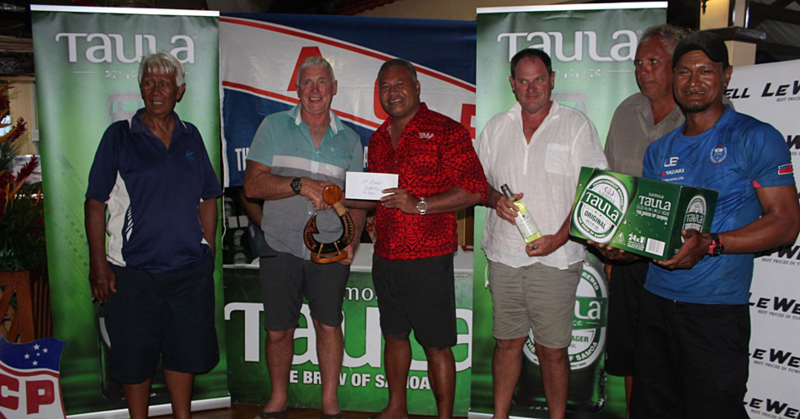 “Feagaiga Stowers is now in the Top 5 in the world for the Juniors and the Youth and Don Opeloge is ranked in the Top 10 as a Junior and a Youth as well. Furthermore this year is also the Oceania and the Commonwealth Championships. “The Commonwealth Championships is a very important tournament as well and we must go to it this year because the Commonwealth is next year and it’s a good testing time for all our lifters,” he said. “And by then, our lifters should be fully ready to show us what they are going to do next year. “Then lastly there are the Mini Games in Vanuatu. “There are big tournaments happening this year but there are also tournaments in between these major tournaments that we need to attend also. 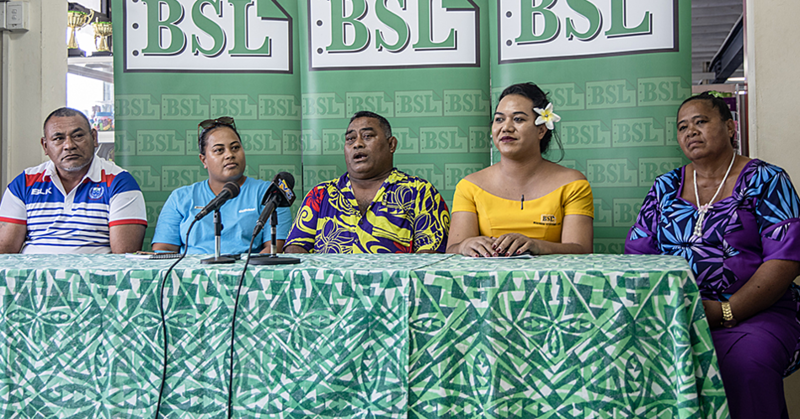 “There are a lot of new lifters in the Federation especially the girls from S.V.S.G. We have about five of them in the Federation which is a good thing because we only have a few senior lifters there. “Our goal for the Commonwealth Games is to beat the number of medals that we received in the past Commonwealth Games. “Remember we won three gold medals in 2010 at the Commonwealth Games so now we want to better that. “We want to win four gold medals and some other medals on top of that next year so that is our goal that we have already set. “As for the Olympic Youth Games, we want to win a gold medal because it hasn’t been done before and then at the Olympics in 2020, we want to win another medal following Ele’s medal. “So those are our goals and realistically we can achieve them because we are getting closer to the top.“I’m not saying we are going to win a medal at the Olympics but what I’m saying is that we can win another medal.